Donald Trump just shook the hand of a man who’s about to get to know him super intimately. The Prez showed up to Walter Reed Medical Center in Bethesda Friday for his first physical since taking office. 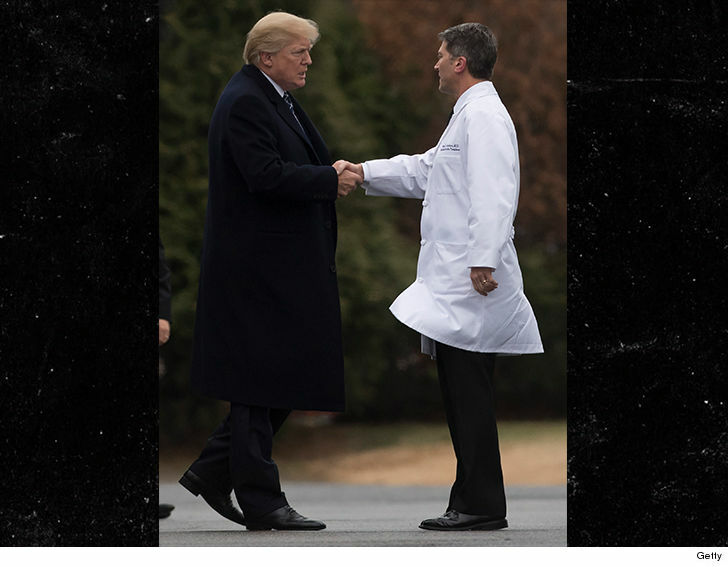 Here’s the thing … Dr. Ronny Jackson is a Rear Admiral … which makes sense. There have been calls for Trump to undergo a psychological exam as well as a physical evaluation — especially in light of the new book, ‘Fire and Fury,’ but that’s not going to happen. Results of the physical will be released next week. We’re especially interested in his cholesterol count.